- Adjustable from: 1.4 to 1.8 cm. MORE IDEAS FOR WEARING THESE FORNT BACK EARRINGS. These Ear Jacket have two holes to let you close them where you feel better. So you are able to adjust these front back earrings. 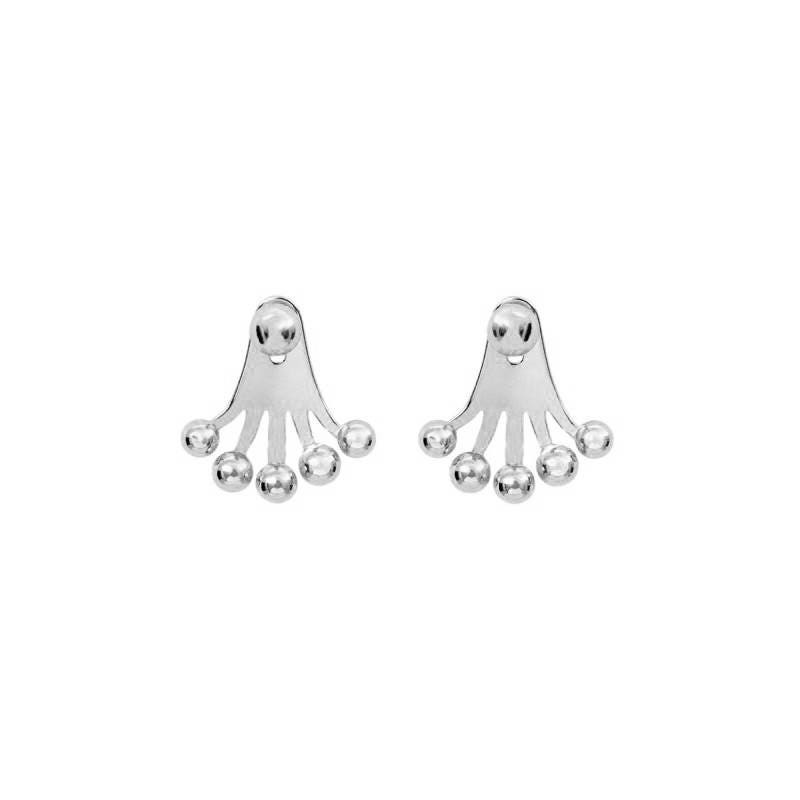 Be like a film star these front back earrings! 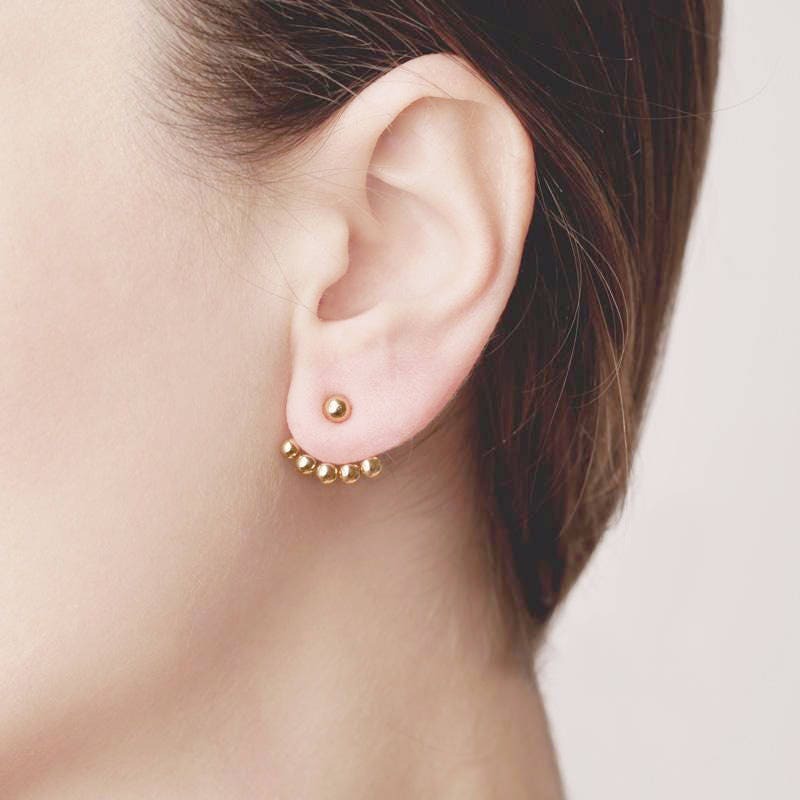 They are formed by an earring in dot or ball shaped Ear Jacket earrings, the closure is situated at the back of the ear from where a bar comes up in the front down side of the earlobe. The Ear Jacket earrings have become a must have of socialite and celebrities. MON ROMA has designed this version which has become a best seller. Be trendy with these front back earrings earrings for women!